Video: How to schedule Internet access times. 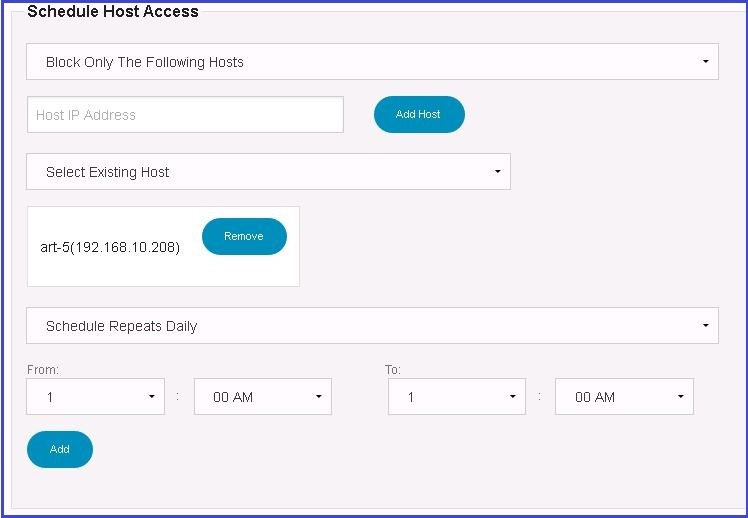 ** Choosing this option will display a list of connected devices to choose from. Schedule Repeats Weekly = this rule will execute Mon – Fri, for example. NOTE: You can turn the Internet off immediately by setting the start time to a point that’s already occurred. NOTE: Only devices connected to the Kibosh Router / Cloud / 360 directly (via LAN or WiFi) can be managed with Net Schedule. Whole home protection (i.e. Kibosh Open on your router) should use Timed Filters.